Playing in the National Basketball Association requires so much skill that you still have a lot left long after your retirement. 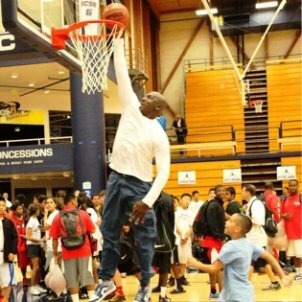 Check out these guys – they’ll beat you 1 on 1 any day of the week despite their age. It’s crazy how Mark Jackson, Warriors coach at the time of the video, managed to beat Steph Curry in a 3pt shoot-out. Jackson played in a time where 3-pointers weren’t as abundant as they are now, yet he somehow outshot one of the best 3-point shooters in the modern league.